AstraZeneca should not reengage with Pfizer in the dying days of the takeover timetable. Talks now would either be fruitless or delay a proper restart later. Some of the UK pharma group’s shareholders are urging discussions before the official calendar runs out on May 26. They’re hoping for a new bid from its American suitor, one worth more than the rejected $119 billion proposal. But there is no honest route to such an offer. It is easy to see why investors want engagement. The gap between Pfizer’s last offer and the $127 billion that Astra has said is its bottom line is not that wide. Pfizer has said that if Astra recommends the proposal on the table, then it has the right to raise its offer. But the implied Pfizer manoeuvre probably would not work. UK Takeover Panel rules prohibit any sort of nod or wink – private or public – which suggests there will certainly be an offer that replaces one declared to be “final.” If Astra now recommended the final offer and Pfizer did not then raise its bid, the board could be in trouble. The panel requires a material justification for withdrawing a recommendation. “We thought we were getting a higher price” wouldn’t qualify. Also, Astra’s board would be acting in bad faith. It rejected Pfizer’s current proposal as not fairly reflecting the value of the business. It would be dishonest to go back and pretend-recommend. The only credible route to a raised offer is to let the current timetable end, sit out the prescribed three-month cooling off period, and restart talks in August. That still leaves the option of talking now for the sake of it. But discussions in the last days of the current process are unlikely to achieve much. The atmosphere is toxic. If tempers cooled, Astra could ask for the bid timetable to be extended to facilitate more constructive talks. But that would only delay things further, because it would postpone the beginning of the mandated three-month break between a final and a brand new offer. Astra’s desired price of 58.85 pounds a share is punchy. To justify that number, Astra will have to deliver 100 percent on its forecast of $45 billion of revenue in 2023, while strengthening profit margins. But Astra’s board is not wrong to ask for a high price in exchange for giving up independence. After all, 55 percent of Pfizer’s offer is paper, and the company’s record in M&A is weak. Besides, Pfizer can clearly afford to pay up, thanks to the merger’s colossal operational and tax synergies. If Astra’s shareholders disagree with the board’s assessment, they can always elect a new board. The current directors should not recommend a deal against their better judgment, merely as a sort of insurance policy against clinical disappointments before Pfizer can make another offer. If the merger really makes sense, Astra’s decision is not now-or-never. On the contrary, a new opportunity is likely very soon. Right now, both sides should shake hands – with no winks – and get back to running their businesses. 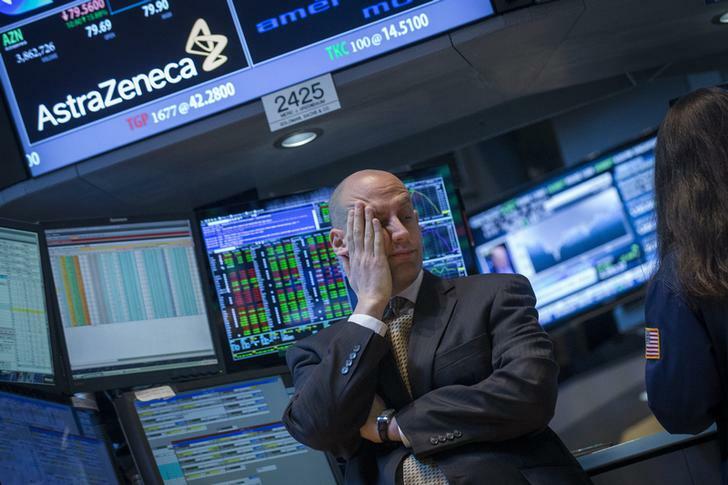 A specialist trader works at a post that trades AstraZeneca on the floor of the New York Stock Exchange April 28, 2014.